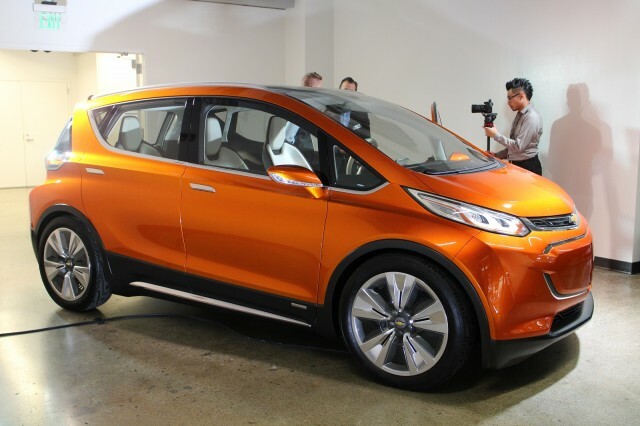 “The long-awaited, pure electric descendant of GM’s EV1–and a cousin of the new Chevrolet Volt, or at least a close-sounding relative–the Bolt will go into production next year with an anticipated all-electric driving range of 200 miles. GM also has said the base price of the Bolt will be about $30,000, after federal incentives. Chevrolet also says it plans to sell the Bolt in each of the 50 states, a marked difference from other electric vehicles, built largely as “compliance cars”, vehicles sold only in enough volume to meet strict emissions rules. The Bolt was shown as a surprise concept at the 2015 North American International Auto Show, and has since been undergoing final development…” – To read the complete article click here.